This blood donation is a part of Corporate Social Responsibility (CSR) program. Supported by Dunia Optic, Energen Cereal, Kuta Central Money Exchange, Mega Health, and Natasha Skin Care, the event went successfully. It proofs the enthusiastic by the invitee who fully supported the program. 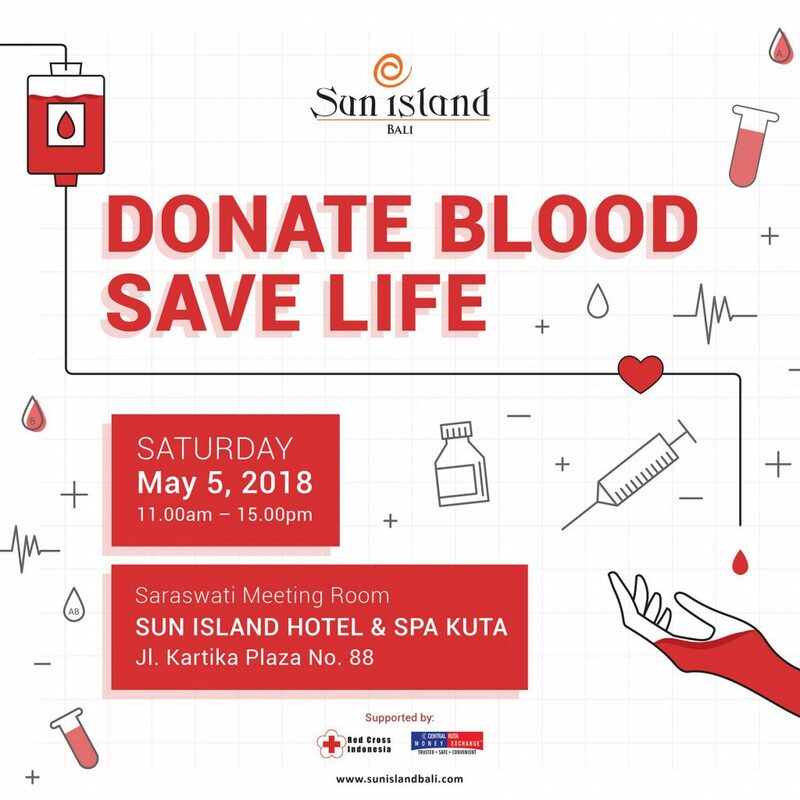 With this result, Sun Island Hotel Bali plan to make this program become a yearly program, and hope the next program will be more successful and get more positive response than this year. Sun Island Hotel Group Bali has managed 5 properties, which is mostly located in the prime location. Sun Island Hotel & Spa Kuta, Sun Island Hotel & Spa Legian, White Rose Kuta Resort & Spa Legian, Sun Island Boutique Villas & Spa Seminyak, and Sun Island Suites Goa Gong. Sun Island Hotel Bali has a commitment to always give an extraordinary service towards the guests. Stay with Sun Island Hotel Bali and be ready to create amazing and unforgettable holiday.